So, you woke up with a rash on your face. What do you do next? There is no wrong answer here. 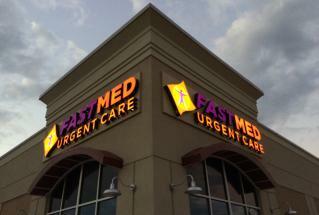 However, FastMed Urgent Care is the only option that can quickly clear up that rash! Located throughout Arizona and North Carolina, FastMed has extended hours during the week, on weekends, and on holidays to ensure you get the care you need when you need it. Because let’s face it, rashes are not accustomed to schedules, especially not yours. What Are Some Common Causes, Symptoms, and Signs of Rashes? Eczema is a chronic condition that causes itchy skin and most often appears as patches on the face, neck, torso, or limbs. Psoriasis is a condition that affects more than 46% of the world’s population and can cause an itchy rash above your lip, around your forehead, and near your hairline. Heat rash develops when perspiration gets trapped under your skin due to blocked heat ducts, and symptoms typically include a prickly feeling paired with intense itching. Allergic reaction is an immune response to substances that are usually not harmful, but your body perceives them to be. What is the best way to treat a rash on my face? There’s a reason fastis in our name. At FastMed, we don’t only make ourselves available every day of the year with no appointment, we strive to get every patient in and out within 1 hour. Check out our ZipPass to check-in online!